Adrienne Warren grew up loving Tina Turner. Turner’s music, both the work that she did as a part of Ike and Tina Turner, as well as the solo work that served as the soundtrack to one of the greatest second acts in musical history, played constantly in the Virginia home or Warren’s parents. Warren said that she learned how to shake her hips before she learned to walk, thanks to Turner. Warren recalls having a poster on her bedroom wall on which she wrote that she would be the next Tina Turner. Well, it’s been pretty doggone good being Adrienne Warren, the television and Broadway actress who has performed in some of the biggest musicals on the Great White Way, including “The Wiz,” “Dreamgirls,” “Bring it On,” and “Shuffle Along,” in a performance that earned Warren a Tony Award nomination. And as fate would have it, Warren got the chance to become the next Tina Turner when she landed the lead role in Tina: The Tina Turner Musical (available through Ghostlight Records). The musical opened to positive reviews at the Aldwych Theatre in London’s West End theater district a year ago. Tina Turner’s life has been well-chronicled. Turner’s autobiography “I Tina” served as the source material for the 1990 biopic “What’s Love Got to Do With It,” a film that earned Angela Bassett an Oscar nomination. There’s been one other musical that tells the Tina Turner story, but Tina: The Tina Turner Musical has the blessing of the Queen of Rock and Roll herself. The YouTube promotional documentaries that show Warren and Turner meeting are worth watching simply to witness the joy Warren displays when meeting her life-long idol. Still, as Turner tells Warren during that first meeting, the actress has big shoes to fill. Turner’s endorsement could have been a blessing or a curse, but that recommendation appears to have liberated Warren. 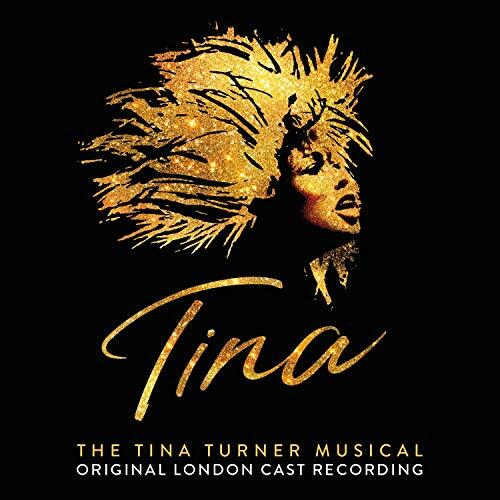 Several critics noted that there are multiple Tina Turners that audiences of the musical meet. There is the powerful and raw voice of Anna Mae Bullock that emerges from the Baptist church in her hometown of Nutbush, Tenn. and catches the attention of bandleader Ike Turner. There’s the ball of energy that became the show stealer in the Ike and Tina Turner Revue during the late 1960s and early 1970s. Tina and the Ikettes, her backing vocalists and dancers, combined striking beauty, athletic energy, precise dancing and harmonies to create a stage show that is studied and imitated to this very day. Finally, there is the artist who was left broke – but not broken and bloodied -- unbowed after her tumultuous and abusive artistic and personal relationship with Ike Turner ended with her possessing nothing but her stage name and the triumphant comeback that ensued. Warren’s performance throughout shows that Tina Turner knows talent when she sees and hears it. This is a welcome, moving tribute to peerless artist. Recommended.